We recognize that your privacy is important. This document outlines the types of personal information we receive and collect when you use www.pacificwestdental.com , as well as some of the steps we take to safeguard information. We hope this will help you make an informed decision about sharing personal information with us. www.pacificwestdental.com strives to maintain the highest standards of decency, fairness and integrity in all our operations. Likewise, we are dedicated to protecting our clients’ and online visitors’ privacy on our website. www.pacificwestdental.com collects personally identifiable information from the visitors to our website only on a voluntary basis. Personal information collected on a voluntary basis may include name, postal address, email address, (company name if applicable) and telephone number. This information is collected if you request information from us, sign up to join our email list, or request some other service or information from us. The information collected is internally reviewed, used to improve the content of our website, notify our visitors of updates, and respond to visitor enquiries. Browsers can be set to accept or reject cookies or notify you when a cookie is being sent. Privacy software can be used to override web beacons. If you choose to take either of these actions, it shouldn’t cause a problem with our site. We may use third-party companies to serve collect non-personally identifiable information (e.g., the pages you visit, and which links you click, and the categories of search terms you enter) when you visit our web site. These companies may use the information outlined above (which does not include your name, address, email address or telephone number) about your visits to this and other web sites in order to provide information about goods and services of interest to you. These companies often use a cookie or third party web beacon to collect this information. If you would like more information about this practice and to know your choices about not having this information used by these companies, click here. If www.pacificwestdental.com is sold, the information we have obtained from you through your voluntary participation in our site may transfer to the new owner as a part of the sale in order that the service being provided to you may continue. In that event, you will receive notice through our website of that change in control and practices, and we will make reasonable efforts to ensure that the purchaser honors any opt-out requests you might make of us. 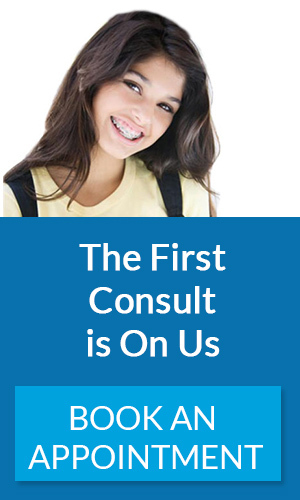 If you are an orthodontic or dental patient of Dr. Wang, and require support or care, please contact PacificWest Dental Group offices to book an appointment – make sure you communicate that you have an issue with your braces.